A few players from the UNC Asheville men’s soccer team say goodbye to the field and their teammates as graduation approaches. Graduating health and wellness student Joe LaCasto looks forwards to the next steps he has planned for himself after graduating. “I am looking into careers for coaching or possibly keeping playing. I am a health and wellness major with a minor in management because I wanted to get into coaching or soccer and I just figured health and wellness would probably just be giving me the best choices,” LaCasto said. 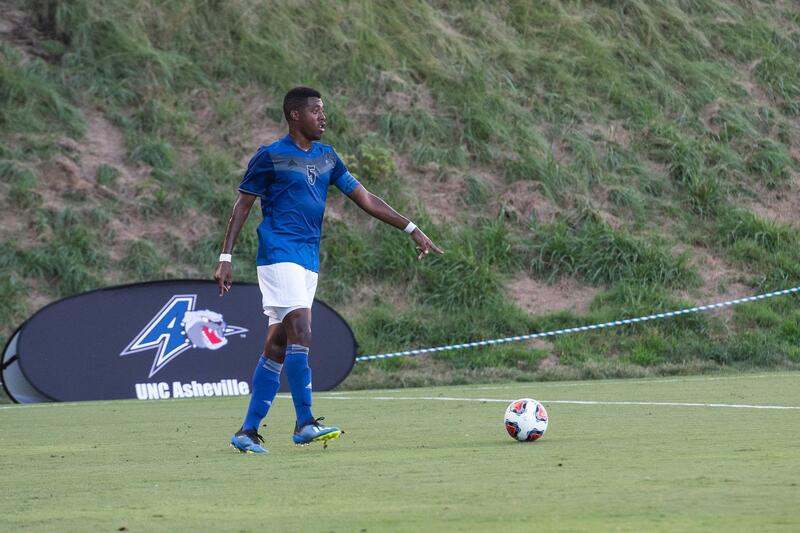 LaCasto was recruited for the UNCA team as a senior in high school. “I ended up deciding late for college sports, but I got an offer to play at a D3 school to get my education. Which was a pretty high academic school or come to UNCA and for me that was a decision deciding on whether I wanted to continue on with soccer or do I want to just move on and continue my education and get some school paid,” LaCasto said. Defender Brandon Millington reflects about what soccer means to him. “In college specifically, I have played center back, right back, left back and center defensive mid. Every game is a new battle, I think every footballer interprets their feelings on the pitch differently. Personally, I just wanted to help the team to the best of my abilities,” Millington said. Millington said soccer influenced him and helped him learn many things. “I’ve gotten a lot of things out of soccer over the years. It’s not possible to pinpoint one thing specifically. However, I would say getting to travel all over the country, and to a couple of foreign countries, has been one of my favorite takeaways. I’ve been playing since the age of 7 or 8. Soccer is deeply rooted in my families culture. There was really no other sport that remotely compared to it in my mind. It’s called ‘the beautiful game’ for a reason,” Millington said. Senior midfielder Brendan O’Dowd found many friends through his time on the soccer team. One thing that LaCasto talked about was the pressure to sign to a college team when he was in high school. 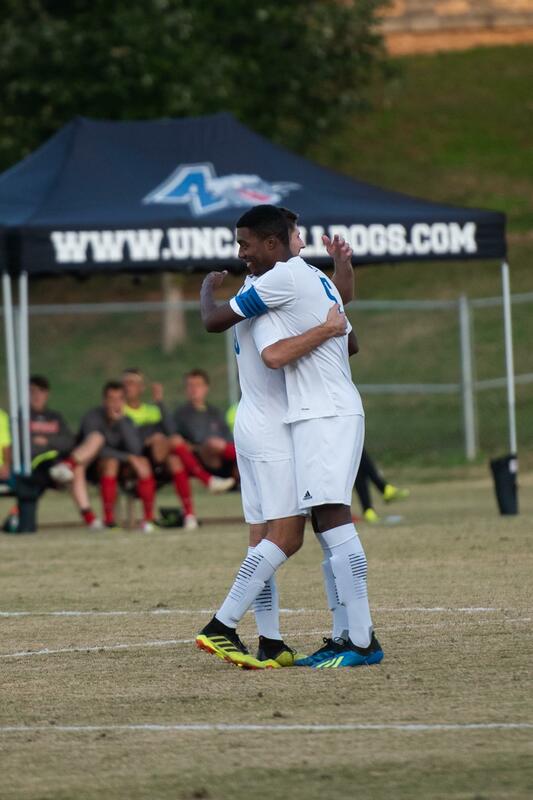 As the seniors on the men’s soccer team, the three players reflect on what it has felt like being a senior. “As a senior I felt a little more pressure to perform well and lead the team. But honestly, it didn’t change the way I viewed the game. You’re always a student of the game and can always grow and improve. Senior year was no different in this sense and I still learned and grew more as a player. Both of my older brothers played soccer competitively and they are the ones that helped me fall in love with the game,” Millington said. O’Dowd appreciated the comradery of the team. “My team meant everything to me during the seasons. I think you definitely get close with specific players over the years. But overall it’s a family, and you have to support each other I had other options to play at other schools, but I chose Asheville for many reasons, and I think in the end I made the best decision for myself and my family at the time,” O’Dowd said.